For some reason, I feel like I am some sort of archeologist trying to figure out the episodes of Till Death Us Do Part I watched last week. I took out my VHS of some of the black & white episodes given to me years ago by a friend which he included three episodes from the early years of the series. Since the series never had any on-screen titles, it wasn’t that easy for me to figure out what I was watching. I needed to find an online episode guide which had episode descriptions. This wasn’t something that was around when I first got these episodes in 2002 on VHS. Till Death Us Do Part is a truly ground breaking series. 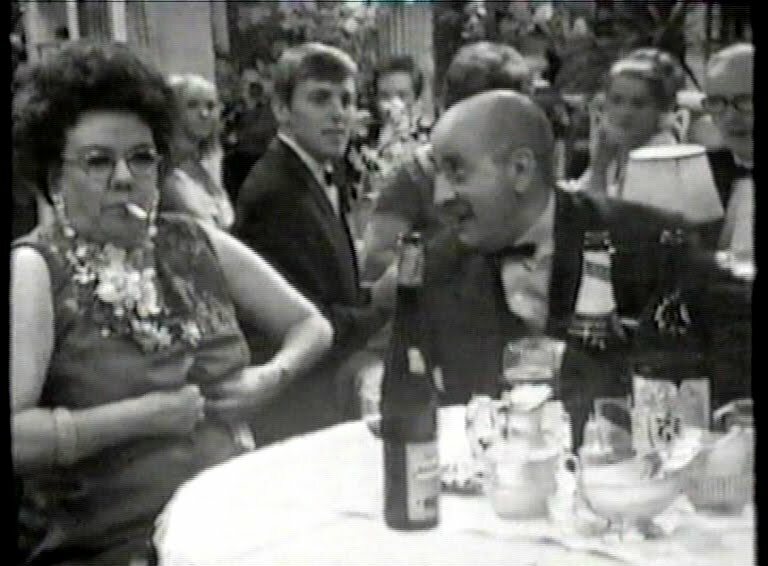 It started in 1965, as a lot of the older well known BBC comedies, part of Comedy Playhouse. Right in the middle of the swinging sixties in London, a revolution was taking place. The generation gap was widening and in the middle of it, on TV atleast, was Alf Garnett. Alf has some extremely bigoted views but he is an extremely patriotic person. He is married to Else and together they had a daughter Rita. Rita is young and married Mike. Both Rita and Mike live with Alf and Else and like much of the youth at that time had ideas and questions no one asked before now. This generation gap in the house is mainly between Alf vs. Mike & Rita. This is especially true between Mike and Alf as they have opposing views about everything. Especially politics! 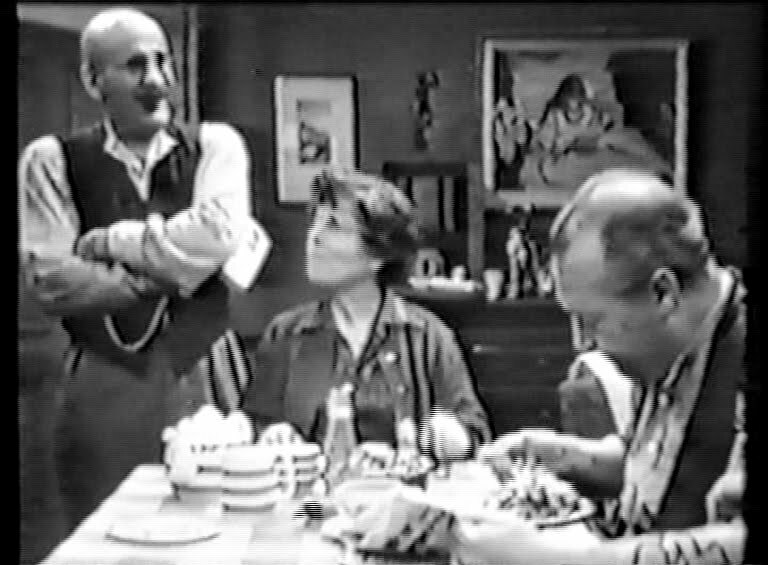 The series is generally set in the Garnett’s living room where there are vibrant and sometimes violent discussions on opposing views or the pub where Alf loves to drink himself to oblivion. I know, based on my description, this doesn’t sound very interesting but it is what Alf says and does that is what makes the series funny but also thought provoking. Johnny Speight who created the series made Alf as a bigot. Alf says a fair share of racist things in the series but when people laugh at Alf, it is not because they agree with what he says but how idiotic he is for his views and what he is saying. I think this is why Till Death Us Do Part is sometimes misunderstood. Luckily, Alf is written and portrayed as a sympathetic, if not flawed human being. He is ignorant for some of the things he says but he also has a good side to him and is hard working as he basically supports everyone in the family. This BBC series has a number of controversies surrounding it as it was doing things that were not seen on TV before. Amongst other things was using the word “bloody” multiple times per episode. Once I finally figured out what I watched (how embarrassing), I felt like I finally had a better grasp on the series. I watched 3 episodes, A House with No Love in It, Alf’s Dilemma, and Peace and Goodwill. 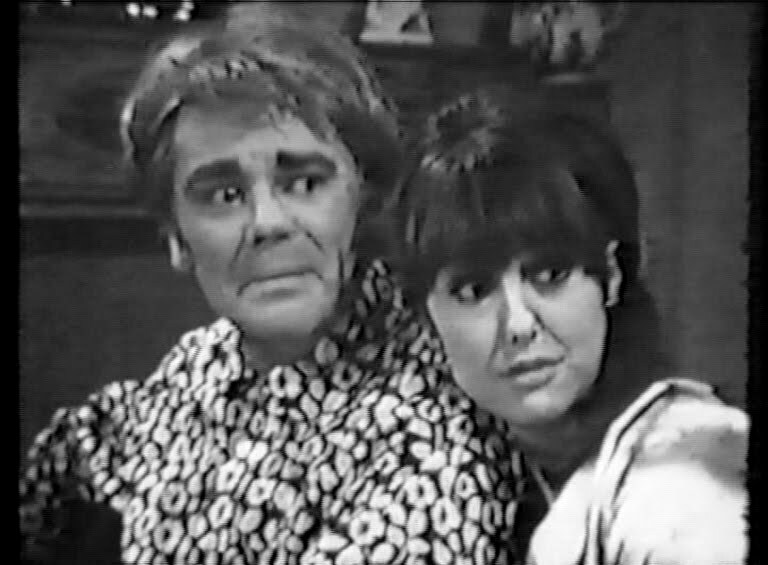 A House with No Love in It is the third episode of Series 1. This episode begins with Rita and Mike waiting for Alf and Else to come down for breakfast. The purpose is that it is Alf and Else’s 25th wedding anniversary. Rita and Mike plan to take them out to a posh restaurant but there is trouble almost immediately! Alf didn’t get anything for Else who is devastated by Alf’s lack of love towards her. Lucky for Alf, Mike has something for Else and tells her it is from Alf. Even when Mike saved Alf by getting a gift for Else, Alf still complains. The one thing about this series, these characters have no problems calling each other cruel names. Upon thinking Alf forgot about their anniversary, Else calls Alf all sorts of names such as a pig. Alf is much worse and loves to call Mike a Scouse git and of course Alf always calls Else a silly moo. This is a polite way of avoiding to call her a cow. Alf calls her a silly moo about 15 times per episode. The next episode I watched was Alf’s Dilemma. This was my favourite of the three episodes I watched. The Garnetts and everyone on their street has their bathroom in the back garden. That’s how a lot of houses were back then. The best part of the episode is the book Alf is reading. 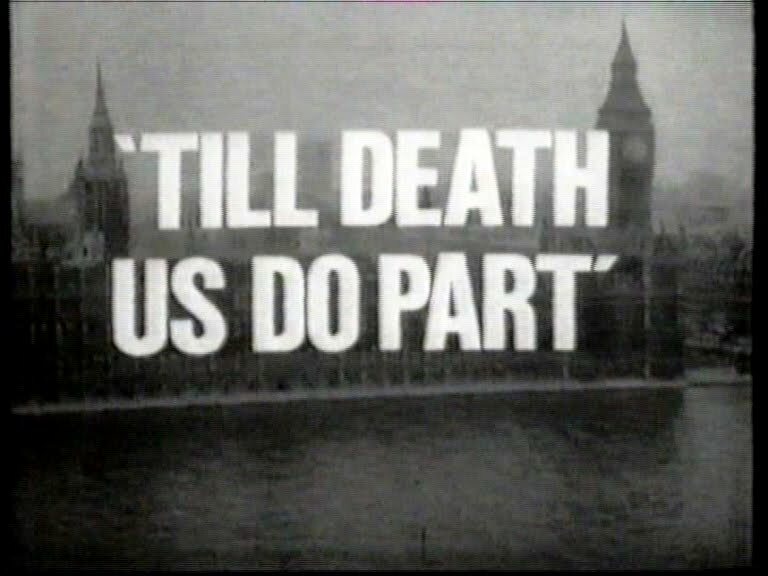 When Till Death Us Do Part went on the air, a movement was taking place in which Mary Whitehouse had started the “Clean Up TV” campaign. One of the targets of this movement was Till Death Us Do Part. Whitehouse felt that there was too much swearing and she felt the series was disrespectful to religion. Whitehouse had said about Till Death Us Do Part, "I doubt if many people would use 121 bloodies in half-an-hour", and "Bad language coarsens the whole quality of our life. It normalises harsh, often indecent language, which despoils our communication." The book Alf is reading in the episode is Mary Whitehouse’ s latest book. When Mike realizes what Alf is reading, Alf responds "She's concerned for the bleedin' moral fibre of the nation!" It is truly an amazing idea to take the character Mary Whitehouse is protesting about and make him a staunch supporter of her views. The funny thing is, the view would perfectly fall in order with his character. Alf is someone who would support something only to find he would be one of the worse offenders of the cause he was supporting! Of course, being a little unfamiliar with the earlier episodes, I had for a moment thought that I had an episode in my collection that I’ve had since 2002 but only been returned to the BBC in 2009. Part of this episode concerned Alf having stomach cramps and at the end goes to the hospital. The Episode Guide description for the recently returned episode, In Sickness and in Health was “Alf gets no sympathy when he has stomach pains, which eventually leads to an operation in hospital.” I foolishly thought for about 15 minutes that I was holding a missing episode in my collection for the past 7 years. No, I just didn’t look at all the episodes on the list. 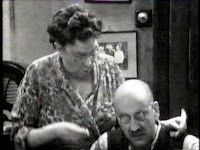 The episode really was Alf’s Dilemma which was returned to the BBC in 1997. I was about to search all my tapes for The Tenth Planet Episode 4. It is interesting how Till Death Us Do Part has a really good rate of episode recovery. In fact, since 1997, 4 episodes have been returned to the BBC which is quite a good rate of return considering since 1997 only 2 episodes of Doctor Who had been returned. Yes, I rate all episode recoveries in comparison with Doctor Who. The last two Till Death Us Do Part episode finds were just last year. The final episode viewed was Peace & Goodwill. 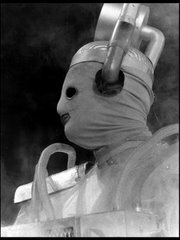 This was the first episode of Series 2. I enjoyed it but not as much as some of the other episodes. It is all set in the Garnett’s living room; it didn’t hold my attention like the other 2 episodes. Basically neither Mike or Alf do anyone any favours at Christmas dinner as they continue to drink and argue over a variety of topics. Like I mentioned earlier, the episodes I watched are for some bizarre reason not available to purchase on DVD. Two series of the colour episodes had been released but none of the early episodes bar the first are available for purchase. This is puzzling to me as this really is a groundbreaking series. Even stranger is the fact that its follow up series In Sickness and In Health is well on its way to almost being completely released on DVD. I can only hope that it means that Till Death Us Do Part is to follow along shortly. The copies I watched were from PAL VHS someone gave to me years ago. They are from film prints and they still have the film leader on the episodes apart from A House With No Love In It which is from a BBC2 repeat from the late 1990s. I transferred the episodes to DVD for easier viewing. The funny thing is that only some of the later colour episodes are available for people to see and although they are good, they absolutely do not have the same impact as the black and white episodes have in terms of the original premise of the series. When the series returned for a fourth series in 1972, the world had moved on from how it was in the sixties and everything was different. 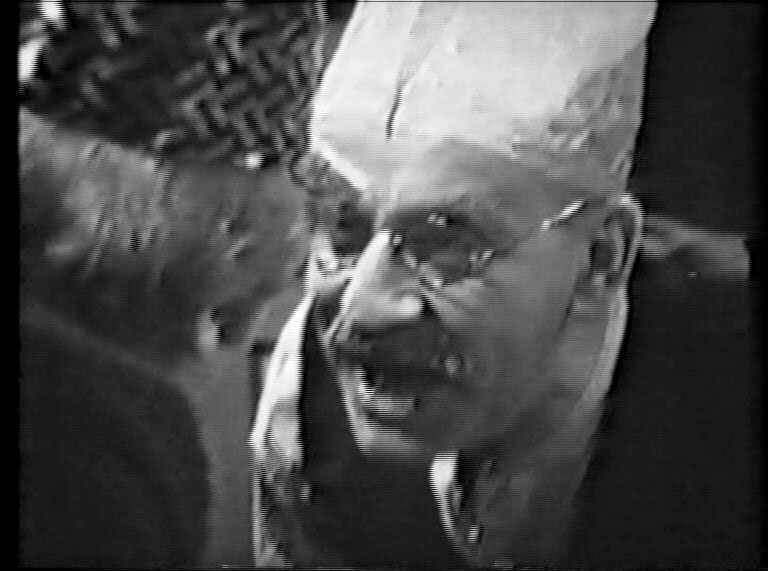 Alf Garnett was still ranting on about everything he could possibly get his hands on but he seemed to have lost his voice when he came back in the colour episodes. Next week: For the next 3 weeks, I will be looking at one of the all time classic BBC series two episodes per week. Next week, I begin the 1955 serial Quatermass II with the first two episodes The Bolt and The Mark. I think I have avoided Till Death because of the lack of availability. I hate watching things out of order, so the black and white stuff has to be seen first. Ig/when it is on dvd, I am sure that is when I break down and get it. That being said, I have seen a few episodes here and there, and have enjoyed them immensely. It is ridiculous that this series has not seen the light of day on DVD, at least the B&W ones. Years ago, someone sent me VHS tapes of the entire latter half of the series. This show really falls apart. It's too bad that a show which made such an important statement early on went out on such a whimper. It happens with most long-term series I guess. Great blog. Any idea why they have never release series 6 and 7? I'd love to see them. Alternatively, any idea where I could locate them off the internet? Thanks for the comment. I don't know what is up with the lack of releases for Till Death Us Do Part. All I have is a fairly low quality (maybe 3 gens down) recording of them from UK Gold I think. Please keep checking back, I plan on resurrecting this blog soon!